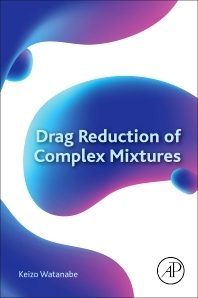 Drag Reduction of Complex Mixtures discusses the concept of drag reduction phenomena in complex mixtures in internal and external flows that are shown experimentally by dividing flow patterns into three categories. The book is intended to support further experiments or analysis in drag reduction. As accurately modeling flow behavior with drag reduction is always complex, and since drag reducing additives or solid particles are mixed in fluids, this book covers these complex phenomena in a concise, but comprehensive manner. Keizo Watanabe is Professor Emeritus at Tokyo Metropolitan University, and President of the Research Society for the Effective Utilization of Fluid Energy (RSEUFE).